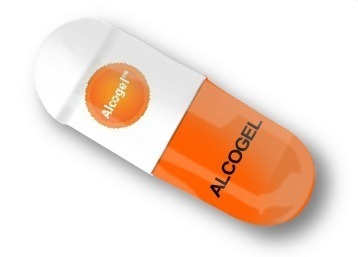 Alcogel (website not live yet) provides alcohol in a liquid capsule. 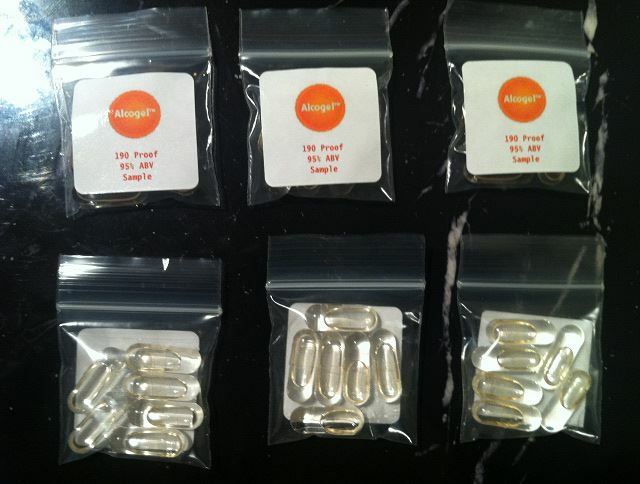 This pill will directly put 190 proof alcohol into your stomach without drinking. No extra calories, carbohydrates, sugars or additives. There are a lot of issue and concerns that immediately come to my mind. As crazy and dangerous as this sounds the business could take off if it can get past the regulators. The only problem I see from a usability standpoint is that you would have to take more than 12 capsules to get as much alcohol as there is in a 12 oz. beer. I guess I could just wash them down with my beer... oh my... going to need that Alcohoot! Follow their progress on Twitter and Facebook.